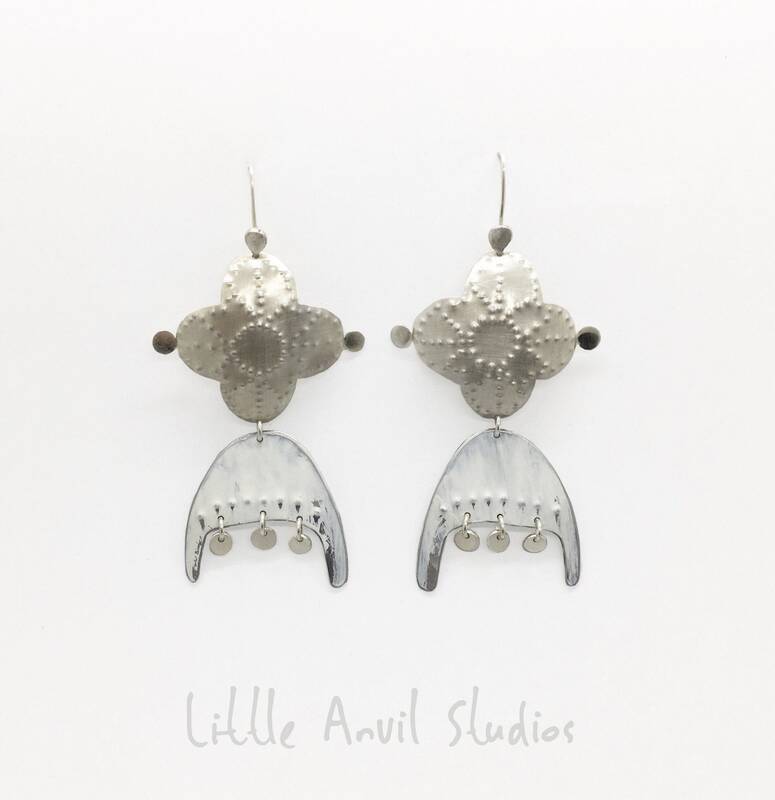 These "Decendants in the snow "were beautifully handcrafted using Silver & demolished kitchen rangehood and upcycled into these contemporary earrings . Painted with enamel paint a blend of traditional and contemporary design . This design has a very traditional Scandinavian feel. By purchasing these you are making a sustainable choice,protecting our precious planet and buying had made . Measurements- 6cm from the ear piercing to the end of earring. Width 3cm at its widest.